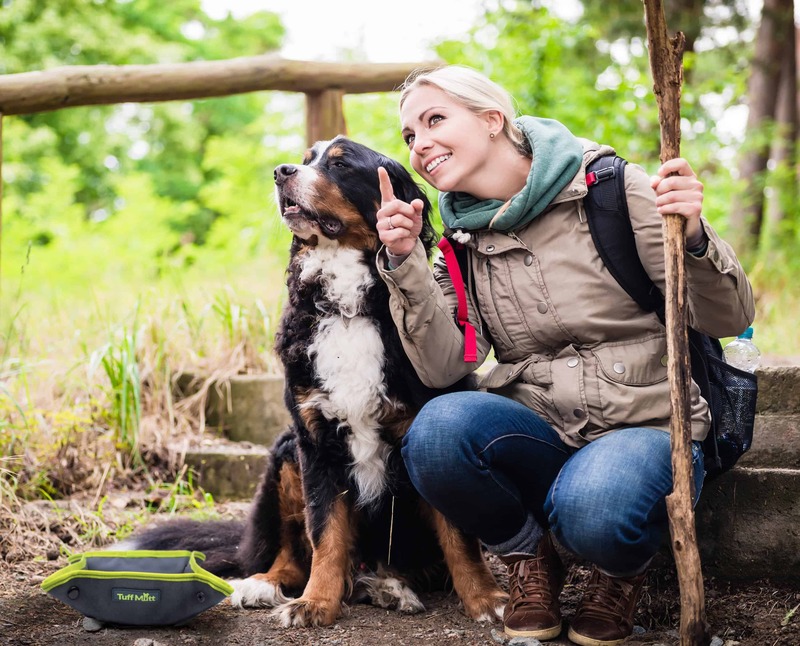 This uniquely designed water and food dog bowl is the perfect on the go accessory that folds and fits easily in your pack, pocket or hand. 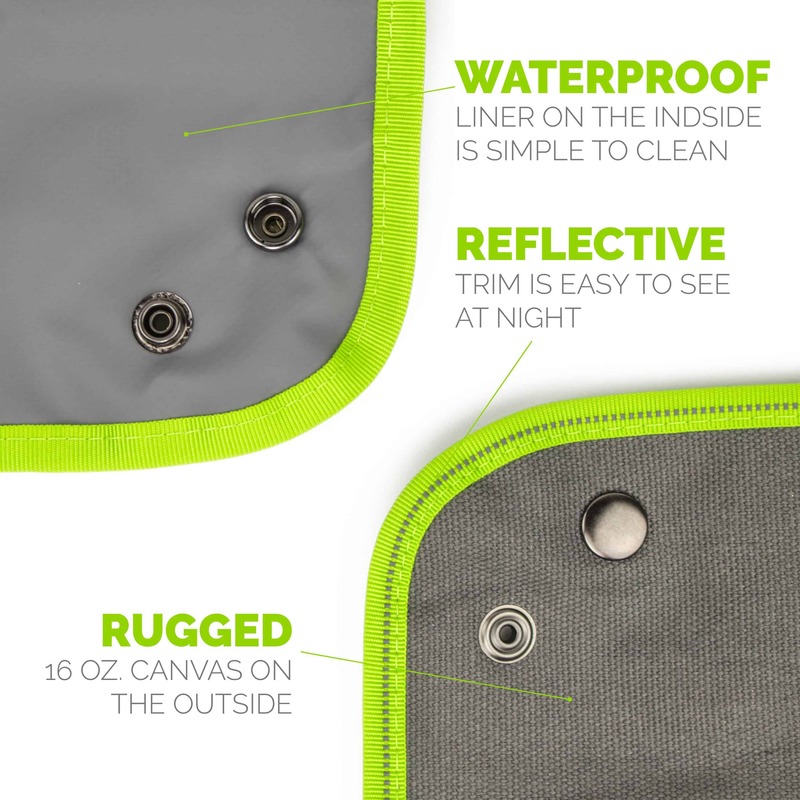 Our canvas dog bowl is made with rugged 16oz canvas on the outside and a durable waterproof lining on the inside that will hold your dog’s water for long periods of time, whether you are on the trails or at home. 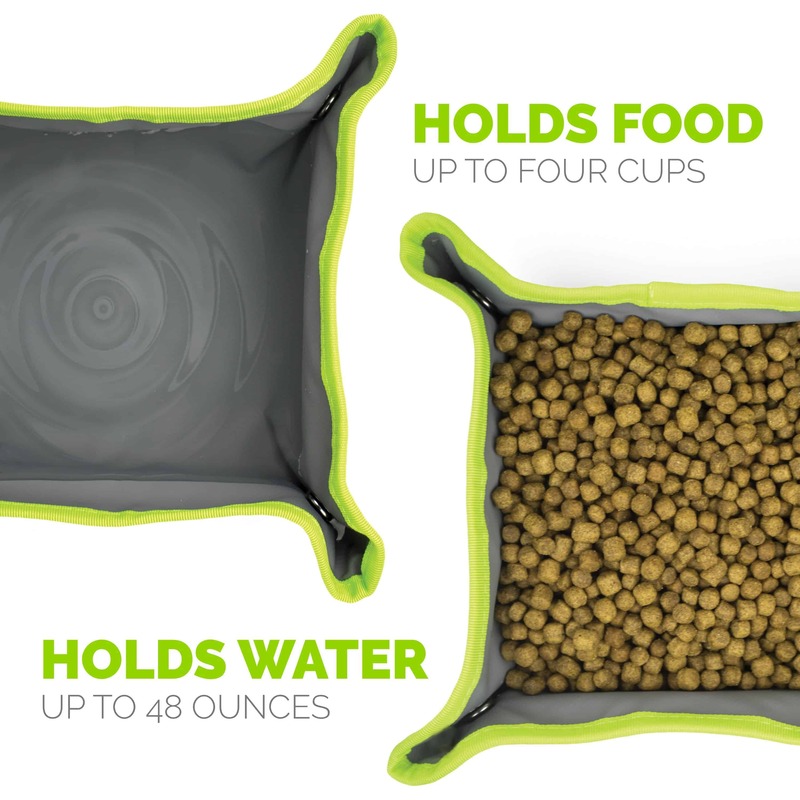 Made with all sizes of dogs in mind, our bowl can hold as little as you need but will also hold up to 48 oz of water and 4 cups of food. 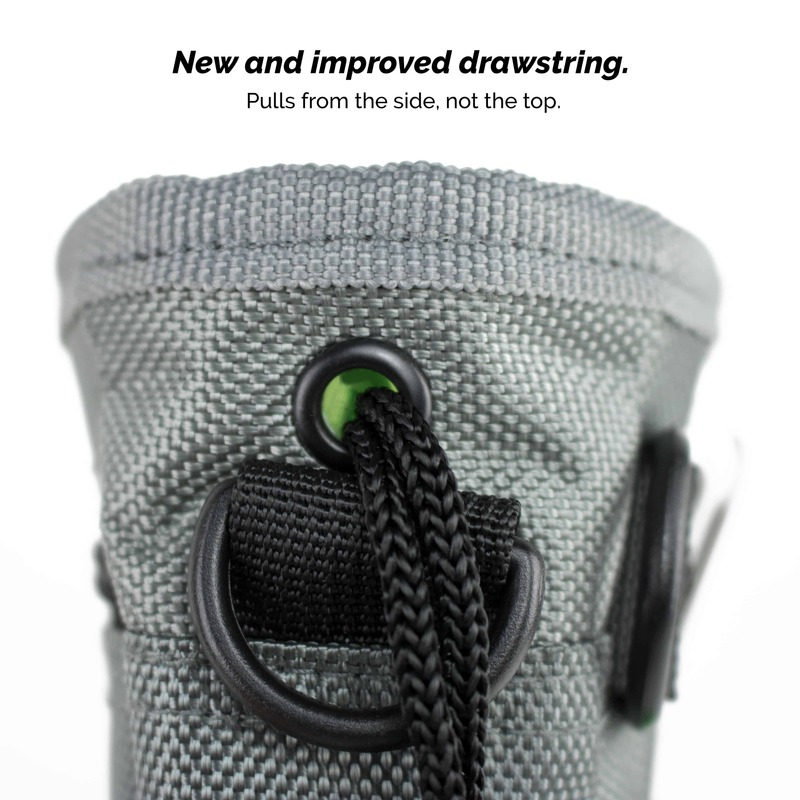 Our durable bowl is so easy to use. 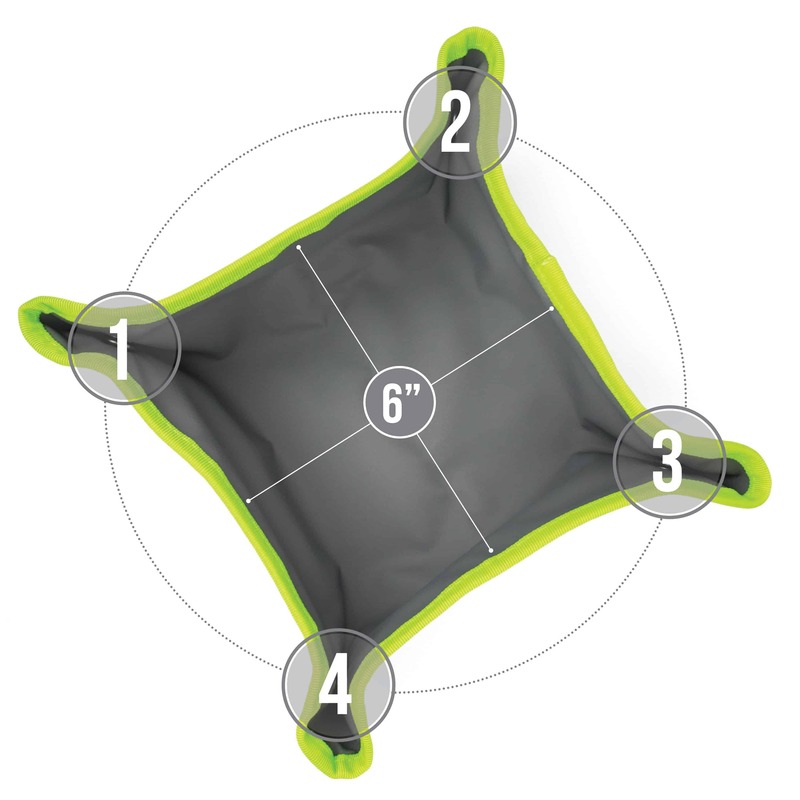 Simply snap the four corners together and shape your bowl. Presto! 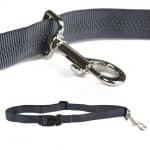 An instant food or water bowl. Wipes clean for easy care and ready to use for next time. 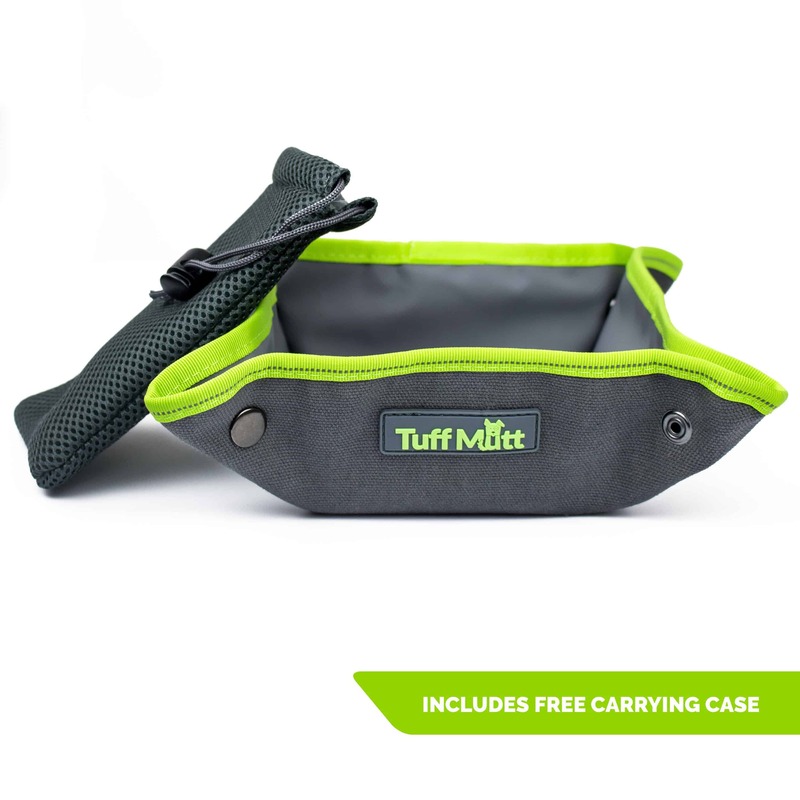 Lightweight and easy to store, the bowl simply folds down to fit into the FREE mesh carrying case to fit in your pocket, backpack or glove box. Approximate size is 3.5” x 5.5” when folded down and it only weighs 6 oz. Our rugged canvas bowl is delivered folded in the handy carrying case. To form your bowl, Simply snap the four corners together and shape your bowl. Presto! 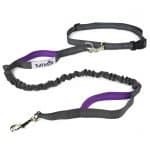 An instant food or water bowl. The bowl can lay flat or be snapped together in different ways for convenient storage. Big or small, this bowl works for all! 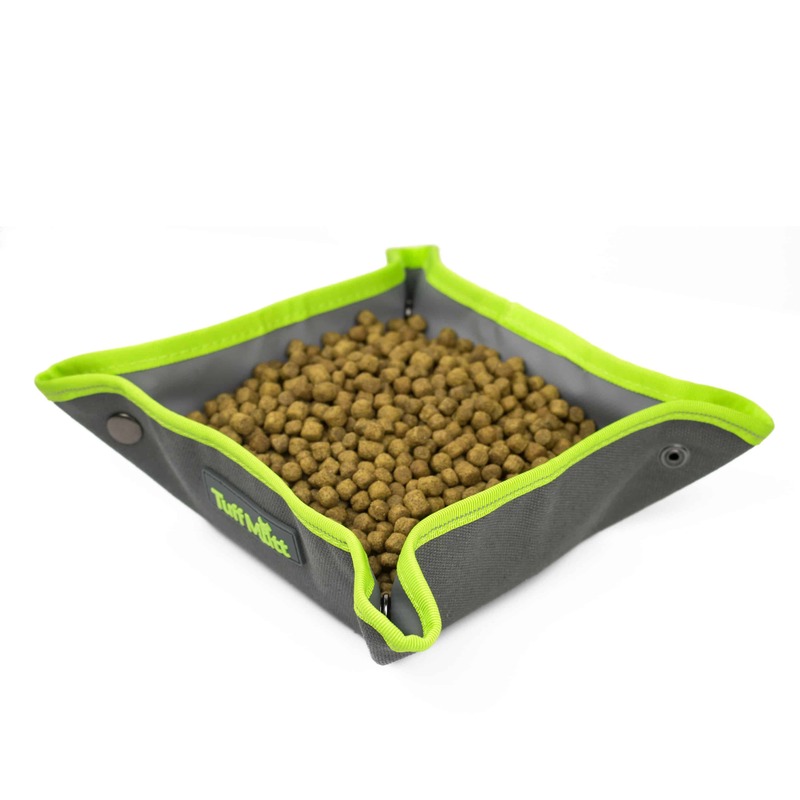 Whether you have a large breed or a mini breed, we designed this bowl to hold as little as you need or it can hold up to 4 cups of food and 48 ounces of water. SNAP IT AND PACK IT! 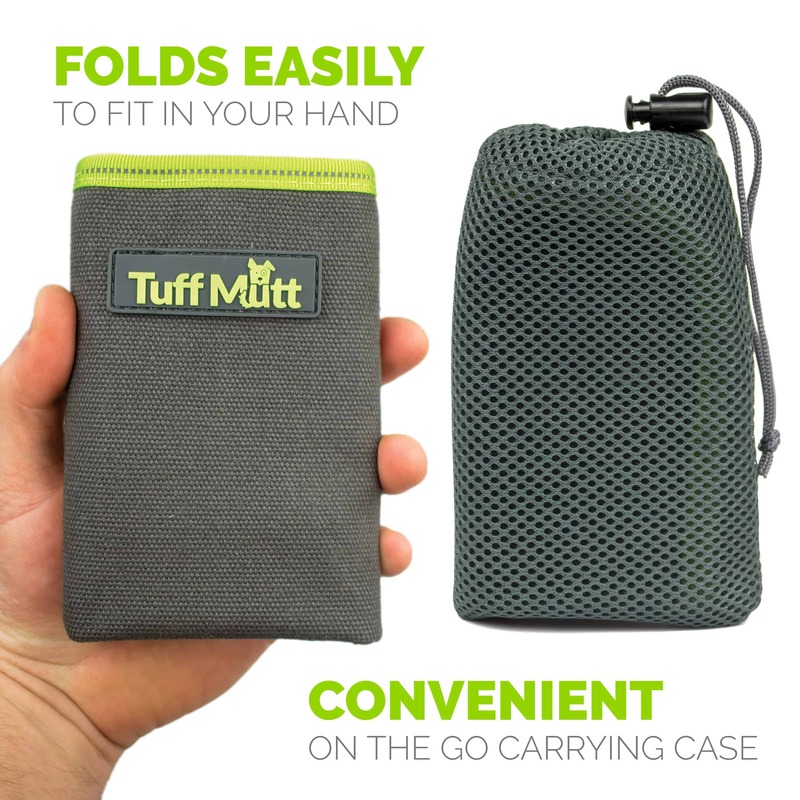 Perfect for the trail, camping, walks, hikes and runs, it easily unsnaps and folds down to fit into the FREE mesh carrying case to fit in your pocket, backpack or glove box. Approximate size is 3.5” x 5.5” when folded down and it only weighs 6 oz. When you are finished, simply wipe it clean, snap it and pack it! 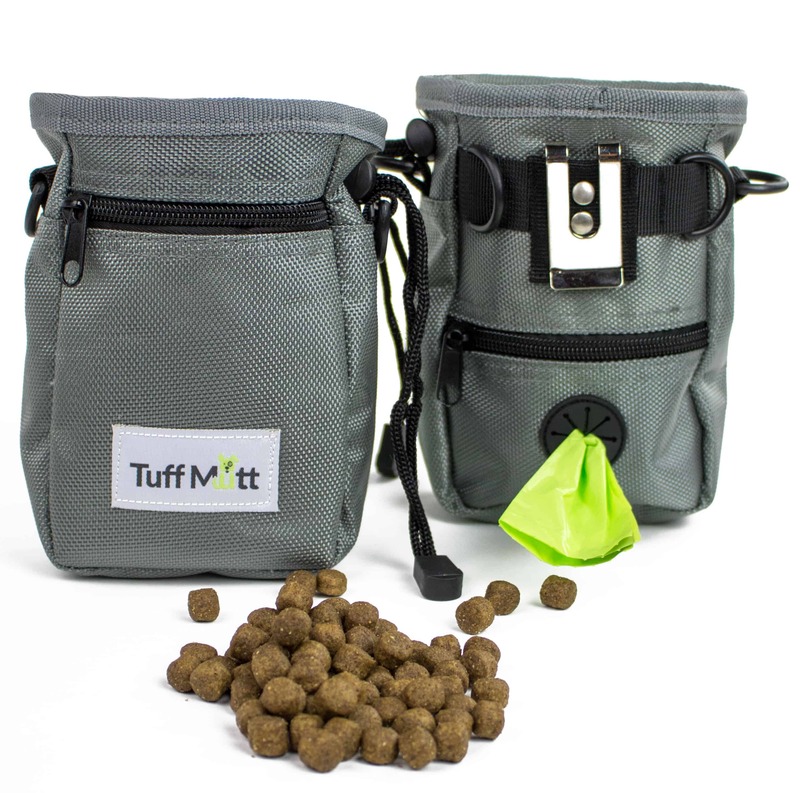 You deserve a convenient way to feed and water your dog on the go!